MADE TO MEASURE. Please contact Graham for full details. 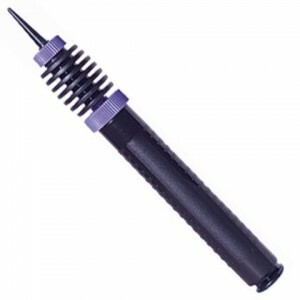 The travel pump inflates at 90 degrees and the top section unscrews to fit into a suitcase. 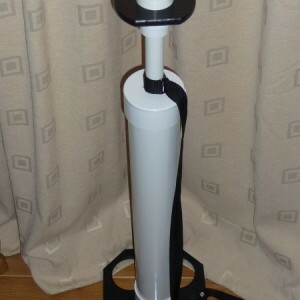 The top of the range free standing one stroke floor pump. This pump takes all the stress out of your arms & elbows with a simple one stroke push down action to inflate the balloons. It will inflate a 260 modelling balloon in one stroke. The weight is super light at only 4.5 lbs, easy to carry around but sturdy enough to take the day to day knocks that may occur. This is the pump that I use. Share the post "McPump Travel Floor Pump"